Another Ultimate Ben 10 Game added to the Category of Ben 10 Ultimate Alien Games Series and this time it is none other than – Ben 10 Ultimatrix Unleashed. In Ben 10 Ultimatrix Unleashed, you have to help Ben solving another mystery of the creature who steals pieces of the Spaceship every night. Get ready to accelerate on a new ride to find out the truth and kill all the enemies. When you Start to play, the enemies will come from every end and you have to punch them to kill so fast before another enemy comes to you. Your enemies will be holding a gun through which they will shoot at you and you have to continuously move your Alien to get saved from the Gunshots. Recommended: Play Ben 10 Ultimate Alien games online for free! 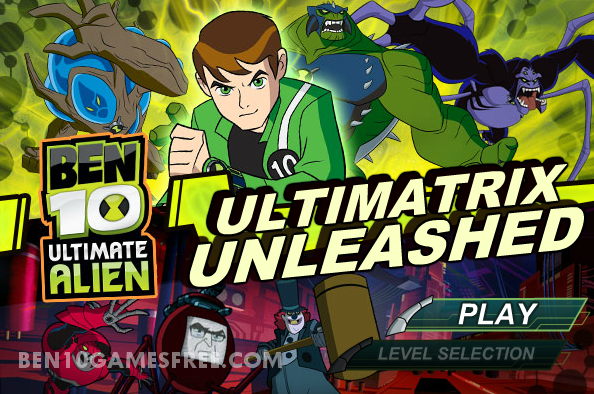 Now, coming to the gameplay of the Ben 10 Ultimatrix Unleashed. This time you will be playing as a SPIDERMONKEY using all the best techniques and tips commonly knows as Spider monkey Tips. Throughout the gameplay, you will also find obstacles in the form of pillars – you can hide behind them to get saved from the fired shots. Pro Tip: Don’t forget to collect the 1Ups and Omnitrix badges for extra powers! The more you collect the Power Boosters, the more easily you can kill the enemies! Don’t Forget to give your rating for Ben 10 Ultimatrix Unleashed game and share your tips and tricks to win this game in the comments section below.